This is a story of rising to the ultimate challenge. Having the courage to risk fatal expo- sure and the perseverance demanded on the quest for achievement. These are not solely physical feats, they are mental conquests. Story of the bike, from its creation to its demise. It never stops. It never comes to rest. It just keeps going and going and going. Between the tides, night and day, spring and autumn, summer and winter, life and death, breathe in, breathe out, jump up, jump down, vrooooom, it just never stops. This is INSANELY good footage of, well, kinda everything. 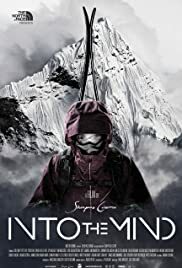 This is not a freeride movie, it's not a spiritual movie either, it's not an ongoing introduction clip of great athletes, it's not a permanent product placement film either. It's an ongoing flick about showing off how much budget was burnt. It is meant to feel inspiring - yet it quickly becomes tiring. Have I already already mentioned that it just doesn't stop? It keeps bombarding the viewer with probably the best footage ever assembled for a film with this, uhm, theme. Everything is so perfect, ...for a moment. But its relentlessness to stay top notch in every second ruins the whole adventure. You can't get attached to anything because the film won't let you. It just speeds on in light speed and doesn't give you any insight on anything except pure awesomeness. In the end, after seeing and hearing all this expensive material you end up feeling kinda empty. Also the "chapters" are very forced. In fact there are no chapters as there is no developing story. Instead we have very cryptic titles for the forthcoming music video (called "chapter"). It actually makes me sad. There was obviously so much potential, so much money, so many talented people - but in the end the film appears like a life long trailer of itself. 51 of 69 people found this review helpful. Was this review helpful to you?